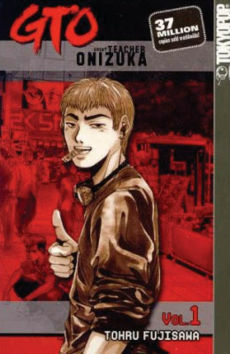 While peeping up girls' skirts at a local shopping mall, Onizuka meets a girl who agrees to go out on a date with him. Onizuka's attempt to sleep with her fails when her current "boyfriend", her teacher, shows up at the love hotel they are in and asks her to return to him. The teacher is old and unattractive, but has enough influence over her that she leaps from a second story window and lands in his arms. 1. He has a conscience and a sense of morality. This means taking advantage of impressionable schoolgirls is out... but their unusually attractive mothers are a different matter. 2. He enjoys teaching and most of the time, he teaches life lessons rather than schoolwork. 3. He hates the systems of traditional education, especially when they have grown ignorant and condescending to students and their needs. With these realizations, he sets out to become the greatest teacher ever, using his own brand of philosophy and the ability to do nearly anything when under enough pressure. He is hired as a long-shot teacher by a privately operated school to tame a class that has driven one teacher to a mysterious death, one to nervous breakdown, and one to joining a cult. He embarks on a mission of self-discovery by breaking through to each student one by one, and helping each student to overcome their problems and learn to genuinely enjoy life.